MUSIKMESSE 2017: If you’re spending a weekend at a festival this summer it’s almost inevitable that you’ll see a Nord Stage or two being played, and manufacturer Clavia is continuing its mission to create “the ultimate instrument for the performing musician” with version 3. 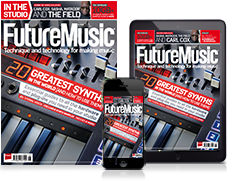 There are improvements across the feature set, with one of the most eye-catching being the addition of OLED displays in the Program and Synth sections. The memory for the Nord Piano Library has been doubled, with polyphony being expanded to 120 voices, and the Synth section now features the synth engine from the Nord Lead A1, complete with sample playback. The Organ section now features the Nord C2D organ engine and Model 122 Vintage Rotary Speaker, while the Nord Stage 3 Compact gets physical drawbars (the range also includes 76- and 88-note hammer action versions). Improvements are evident in the effects section, too. You can get an overview of the new features in the video above, and all the details are on the Nord website. We’re still waiting for prices and release dates.